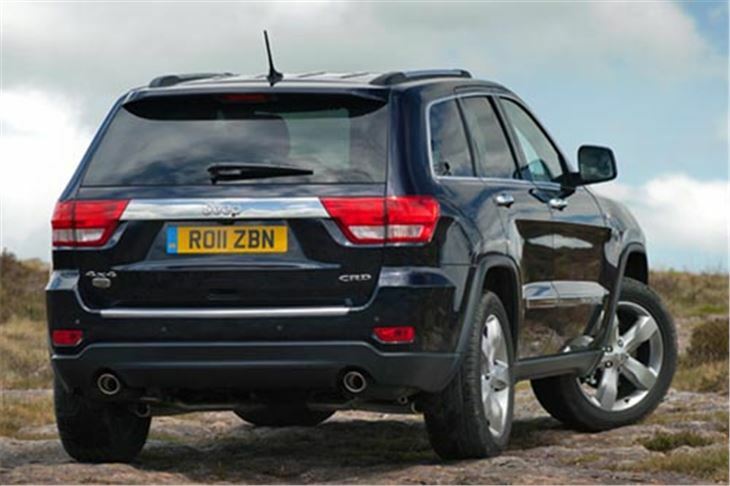 The new Jeep Grand Cherokee Overland combines traditional Jeep virtues with an excellent combination of on road ride and handling. It’s official. 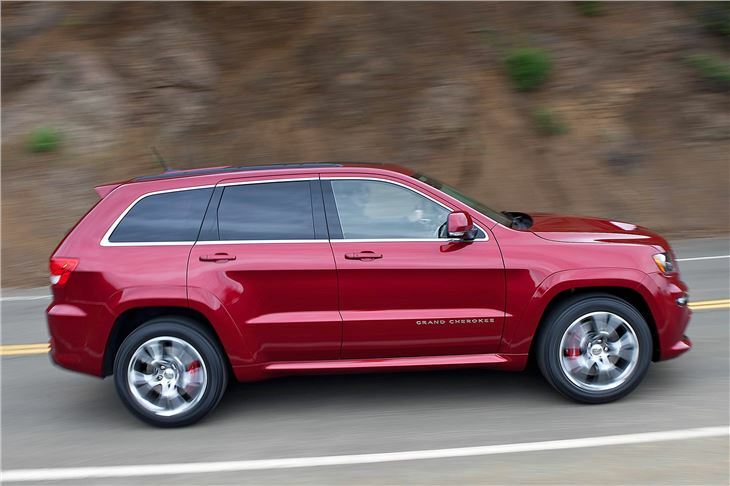 FIAT now owns 51% of Chrysler and has taken control. 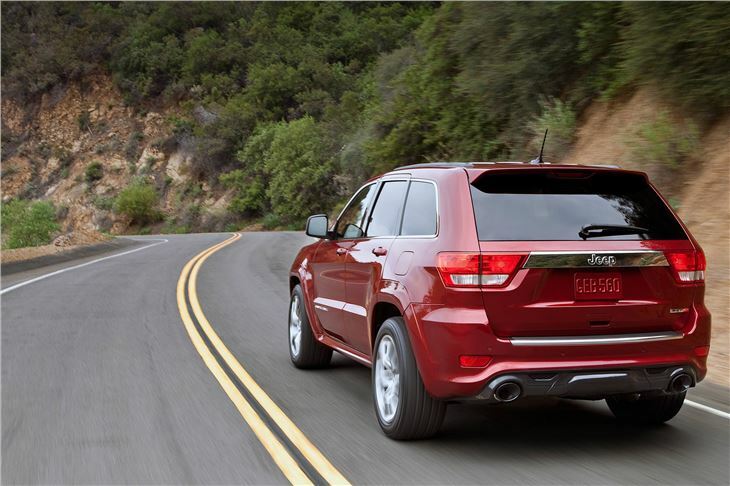 And this comes at quite a good time for Chrysler Jeep. 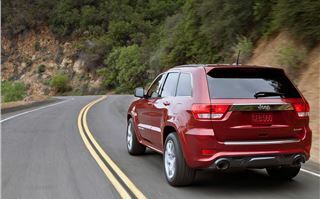 The slow selling Jeep Cherokee, new just three years ago, has been abandoned. 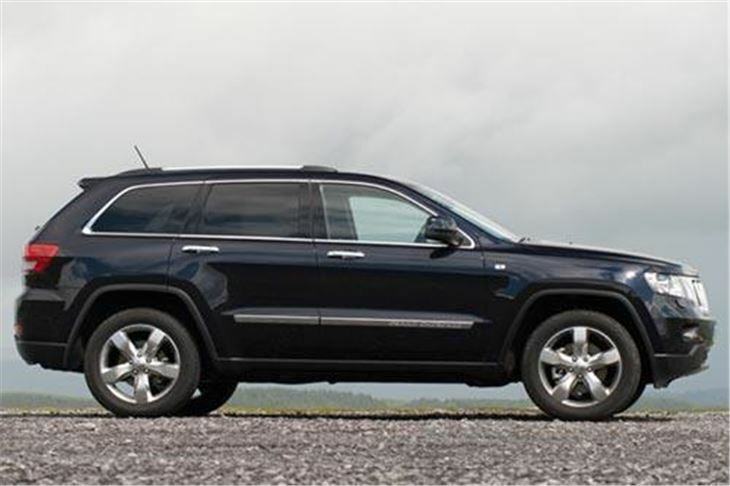 The 7-seater Jeep Commander is no more. The quite good Patriot and quite bad Compass have been replaced by a new Compass with a Mercedes engine that works very well indeed. 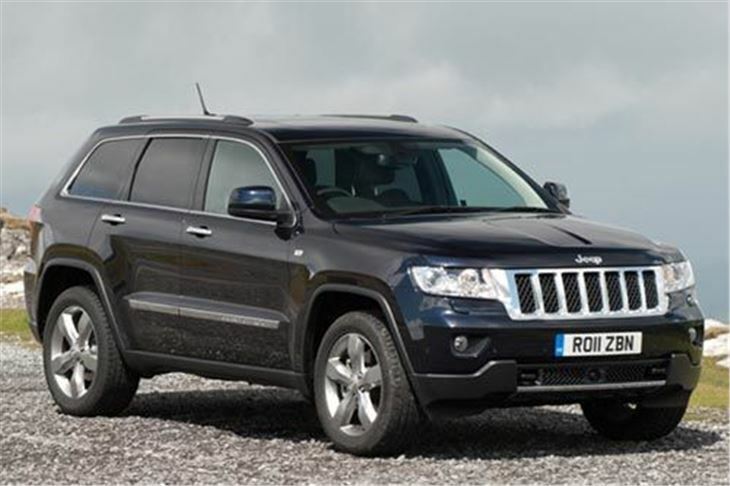 And now the old Jeep Grand Cherokee has been dumped in favour of an all-new Jeep Grand Cherokee that is really a Jeep remake of the next generation Mercedes ML, sharing the same chassis and drivetrain and pretty much the same engine. So you get a lightweight graphite iron block 2,987cc V6 chain cam diesel engine, as in a Mercedes, but reworked slightly and built by VM Motori in Italy. 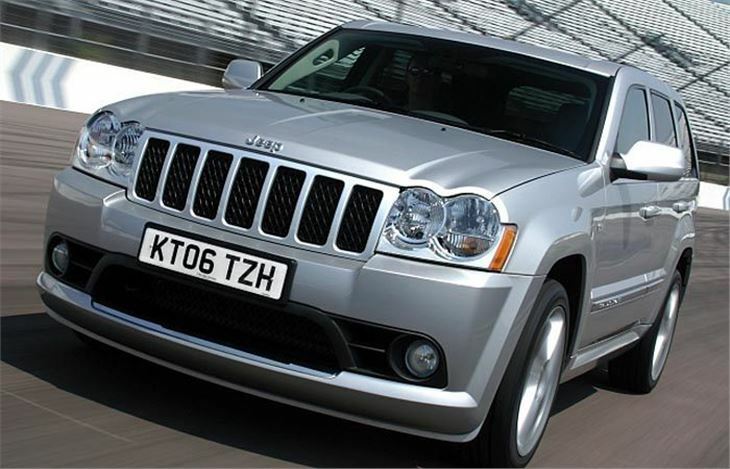 This develops 241PS at 4,000rpm and 550Nm torque from 1,800 – 2,800rpm. It’s bolted to a 5-speed ‘slapshift’ torque converter automatic, then Jeep’s ‘Quadra-Trac II’ transfer case with electric ‘Selec Terrain’ that, as in a Land Rover, allows you to choose what sort of job you want it to do for you. The settings are Sport, Snow, Auto, Sand/Mud and Rock. 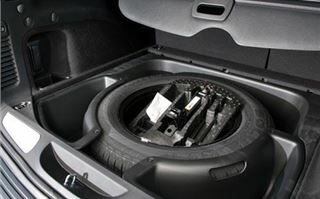 When fitted with air suspension, selecting rock raises the ride height. 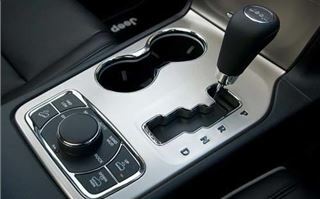 There’s also a locking centre diff and low range button, and braking hill descent control. 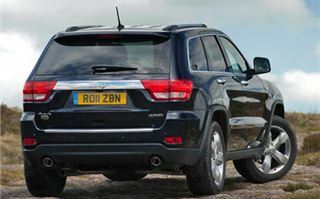 So, properly in the Jeep tradition, the car is a fully-fledged four-wheel drive that also has a useful towing capacity of 3,500 kilograms. It was never going to be an eco car, but emissions of 218g/km put it into the £260 a year tax band rather than the next one up (which is £445). And in the EC tests it averaged a Combined 34.0mpg. 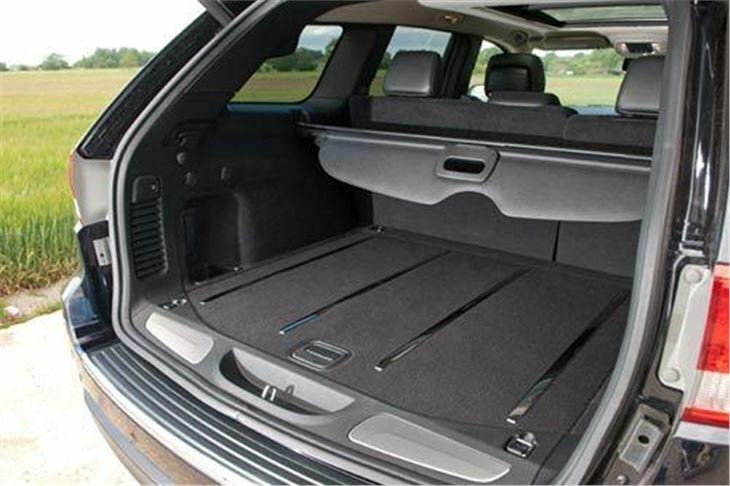 There are two trim levels: Limited and Overland. The Limited shrugs off potholes and speed humps with standard, sensible 265/60 R18s. 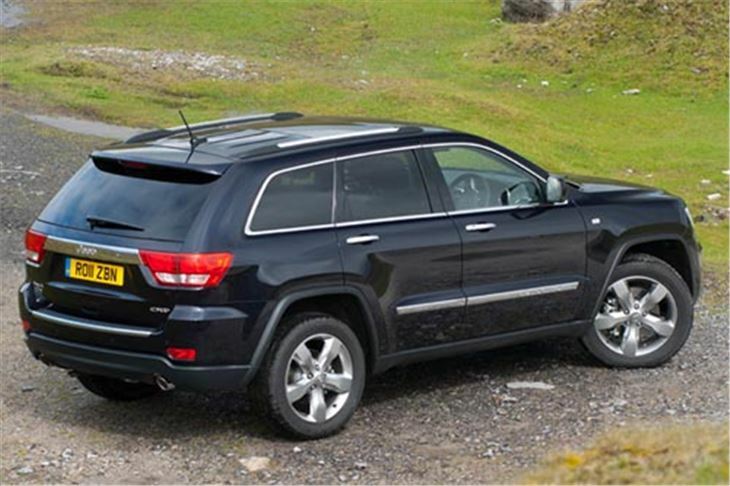 The Overland comes on 265/50 R20s and ‘Quadra-Lift’ air suspension, and also includes satnav, rear parking camera, panoramic sunroof and adaptive cruise control. It’s a hefty £7,200 more (the price of a Hyundai i10 1.2 Classic), but it’s worth it. Sadly, the standard model Limited is far from the sharpest kid in the class. While those fat tyres absorb potholes and shrug off kerbs, they don’t do it any favours in the handling department. Turn in is so vague you wear yourself out keeping the car on the road. I think the expression is “it falls off its tyres”. Yes, I know the answer is, “so drive more slowly.” But I don’t want to drive that slowly. I’d better add here that the Limited we drove was the only one available on the day with standard suspension and tyres. All the others were optioned up with the £2,000 ‘Performance Pack’ of 20” wheels with 265/50 tyres, performance brakes and sports suspension. 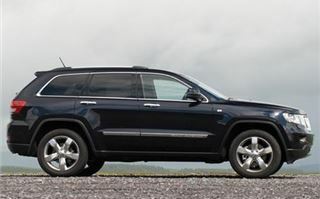 Jeep obviously doesn’t expect to sell many Limiteds on standard suspension. 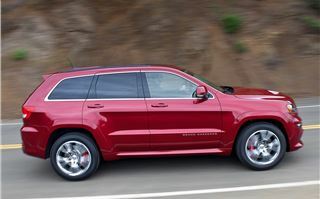 Mid morning, we swapped to the Grand Cherokee Overland and all that was wrong with the Limited suddenly came right. 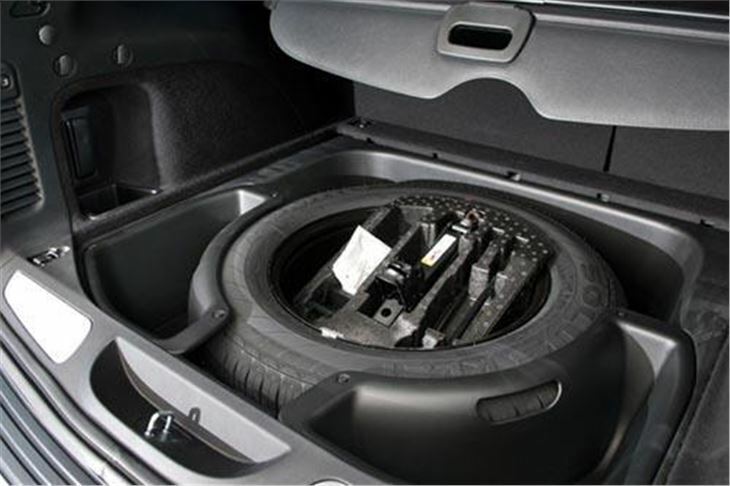 The air suspension gives a softer ride that cushions any shocks felt through the lower profile tyres. The steering sharpens up. The front end bites. Even the engine performance felt both more alert and more relaxed at the same time (if that makes any sense). 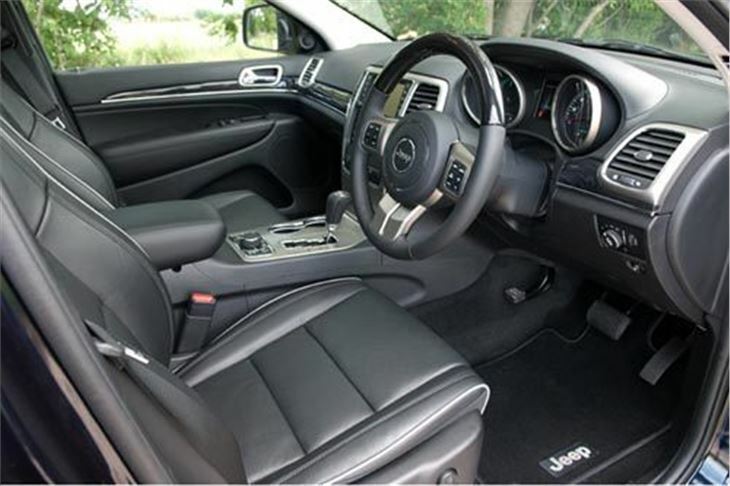 It out rides any Jaguar or BMW and most Mercedes, yet still offers decent steering feel for confident cornering. Surprisingly, very good indeed. 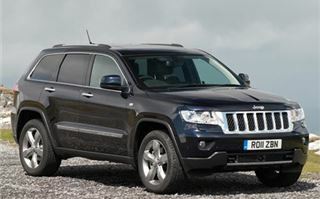 I’d rate it as best all-round of the current crop of big 4x4 SUVs. And £44,000 isn’t too expensive for such a complete car. More impressive was the manner in which the same car we had been driving on the road then coped with an off-road course. All the gizmos that were supposed to work worked well. Centre diff lock and low range, hill descent, ‘Selec Terrain’ switched to ‘Rock’ to raise the suspension. (Happily there were no actual rocks to hurt the 20” rims and tyres.) Often on a car launch you get out of the road cars and into off-road specials fitted with completely different tyres, but not in this case. 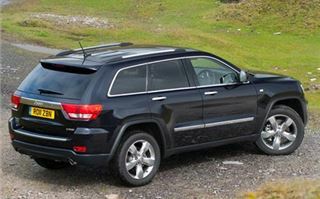 The Jeep Grand Cherokee did the business in its dinner suit. So verdict, very impressive. It does what a Jeep has been doing for 70 years (five more than Land Rover). 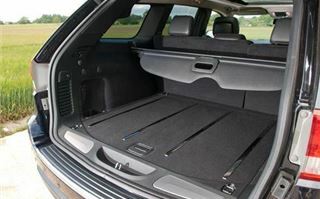 Yet it also offers a lovely limo like ride quality coupled with the sharpest handling you could unreasonably ask of a soft riding SUV.